Washington, DC – On March 26, 2019, the Public Affairs Alliance of Iranian Americans (PAAIA) hosted its annual Nowruz celebration on Capitol Hill, with over 200 congressional staffers and 20 members of Congress were in attendance, including House Speaker Nancy Pelosi and House Minority Leader Kevin McCarthy. Recognizing the Persian New Year, this annual event is part of PAAIA’s broader efforts to foster a greater understanding of Iranian culture and heritage and to project an accurate image of the Iranian American community. This year’s celebration centered on the theme of Iranian Americans in public service and honored nine Iranian Americans who have dedicated their careers and lives to public service. Iranian Americans have served in senior capacities for Republican and Democratic administrations. Many have been elected to state and local governments across the nation, including serving in positions like Lieutenant Governor and Mayor. Iranian Americans have also dedicated their lives to defending America, having served in all branches of the military. Guest speakers who exemplify Iranian Americans profound and deep contributions as public servants included Assal Ravandi, an Army veteran and founder of the Academy of US Veterans, and Lieutenant Colonel Milad Pooran. PAAIA’sevent was hosted in conjunction with Senators Richard Blumenthal, Tim Kaine, Chris Murphy, and Chris Van Hollen as well as Representatives Justin Amash, Tony Cardenas, Andre Carson, Judy Chu, Gerald Connolly, Dan Crenshaw, Jim Himes, Jared Huffman, Sheila Jackson Lee, Zoe Lofgren, Carolyn Maloney, Betty McCollum, Scott Peters, Jamie Raskin, Francis Rooney, and Adam Schiff. In conjunction with this event and in collaboration with PAAIA, our main congressional sponsor, Congresswoman Zoe Lofgren, introduced legislation (H.Res.238) honoring the Iranian New Year. Besides commemorating the Nowruz holiday, the resolution also underscores the importance of human rights and religious tolerance for all people and recognizes congressional support for the Iranian people’s right to freedom of expression and speech. Attendees had the opportunity to learn about the Nowruz holiday while enjoying Iranian cuisine and a traditional Haftseen table designed by Yeganeh Rezaian. PAAIA would like to extend a special thank you to the evening’s guests of honor and the members of Congress who attended, as well as all Iranian Americans who devote their careers and lives to public service and civic engagement. Take action today! 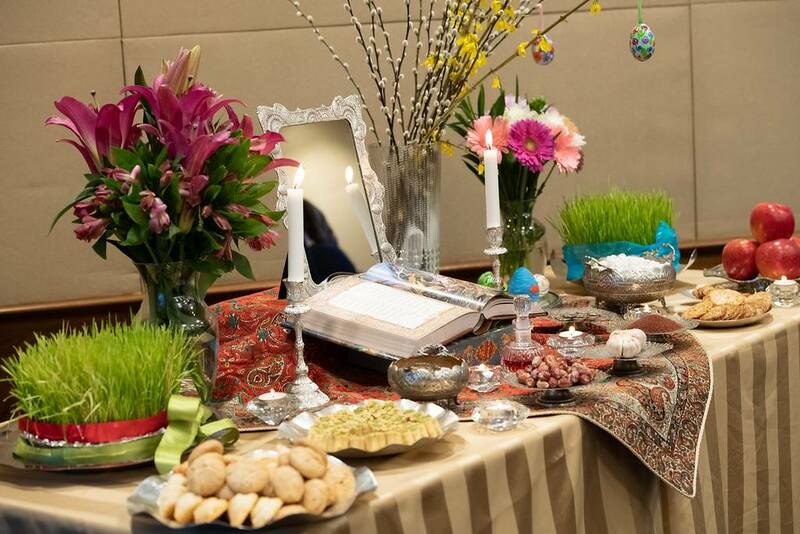 If you would like to educate your elected officials about the Persian New Year, click here to support legislation commemorating Nowruz! Click here to see our Nowruz Facebook Album!